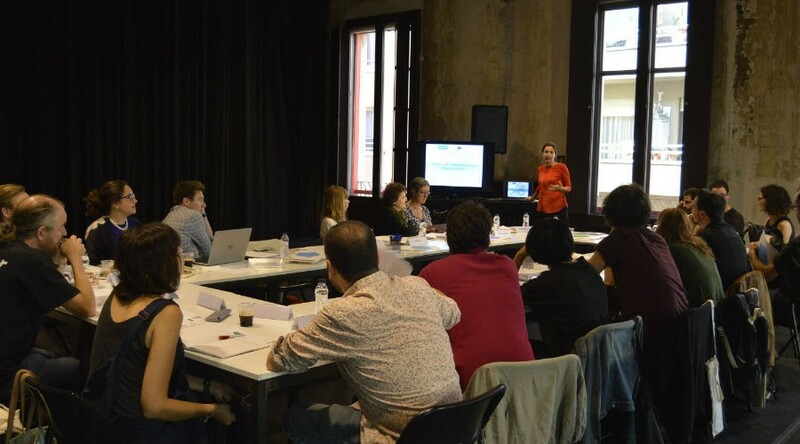 Spanish playwright Esteve Soler took part at the second National Playwrights Meeting with all the Spanish authors selected and all the Fabulamundi’s partners. The meeting took place on 9th and 10th October. Here we publish a journal written by the author. No hi ha res en el que cregui més que en la innovació i en la creativitat. I això és el que significa per a mi el projecte Fabulamundi, que conec bé. Veure’l funcionar viu, en directe, aquí a Barcelona, al costat d’ un bon grup d’ amics i colegues ha sigut un gran plaer. Com sempre. The translation is more or less this one: “I truly believe in innovation and creativity. And that’s what means for me the Fabulamundi project, an initiative that I know very well. To see how it works, live, here in Barcelona, next to a nice group of friends and collegues, was a big pleasure. As always.